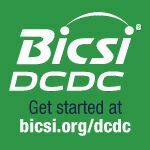 Give yourself a competitive edge and start the path to the BICSI Data Center Design Consultant (DCDC) credential. Learn the fundamentals with DC101: Introduction to Data Center Design. This self-paced, online course outlines the data center design process and criteria, systems, components, sustainability, commissioning and maintenance. PlusUs has introduced Xpad, the world's thinnest and first-ever flexible wireless charging pad. Featuring a charging pad made entirely from genuine Italian leather, real timber veneer or cork, Xpad is a beautiful, modern design handcrafted from eco-friendly materials. Xpad is proportioned to accommodate all smartphone sizes and is perfect for any home or work setting. txtsmarter has launched its enterprise mobile communications compliance & governance platform to help organizations seamlessly capture all nonverbal communications on devices across both work and social media platforms. This helps to ensure that organizations are fully compliant with industry compliance and governance regulations. Messages can be quickly and efficiently archived and retrieved with txtsmarter's enterprise-class search and synch solution for compliance analysts. txtsmarter can also seamlessly populate CRM systems, like Salesforce, with information gathered from SMS interactions, leading to more enriched data sets for sales organizations. BICSI's telecommunications project management program provides the tools needed to lead your team to project completion, no matter the complexity. From initial project planning to completion, you get a full-picture look at how to lead a dependable team.